This is a very dangerous situation. 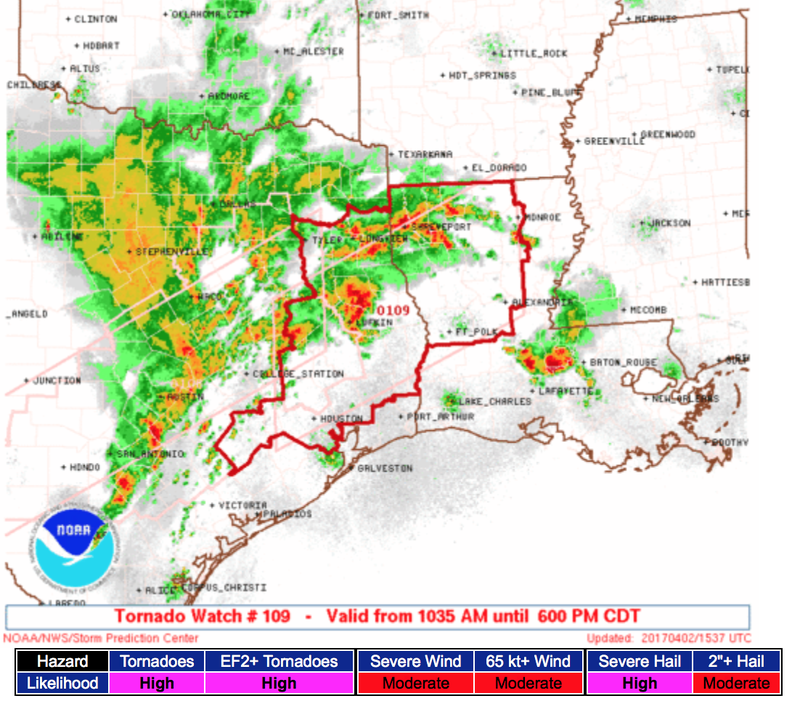 The risk of strong tornadoes is "high" and the risk of damaging thunderstorm straight-line winds is "high." 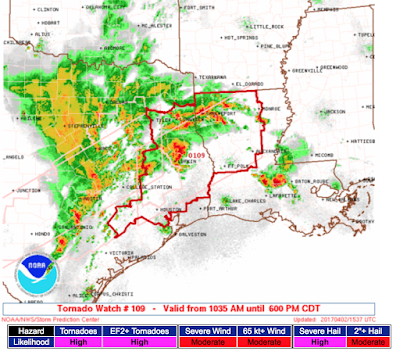 The watch includes Houston and Shreveport. The watch is in effect from now until 6pm.